A Medical Power of Attorney, like the Financial Power of Attorney, documents and authorizes a trusted individual to make medical decisions on your behalf when you are no longer able to do so. Although individuals ordinarily use their Medical Power of Attorney to schedule doctor appointments and order prescriptions, the most significant function of a Medical Power of Attorney is as a directive for life-sustaining treatment. If you were in an irreversible coma or persistent vegetative state and your physicians determine that there is no chance that you will recover, do you want life-sustaining treatment to continue? Do you want life-sustaining treatment to stop? Or do you want your Power of Attorney to have discretion as to whether or not to continue life-sustaining treatment? Everyone has their own sentiment regarding the aforementioned question. However, if you do not document your choice, you could end up with unintended results. Whether you are 85 years old and have not updated your estate plan, 45 and contemplating the creation of an estate plan or 18 years old and just starting your adult life, a Medical Power of Attorney is a must. If you cannot make medical decisions and you do not have a Medical Power of Attorney, the only option available to your family members or loved ones is to have a Guardian appointed by the Probate Court, which will be expensive and time-consuming. 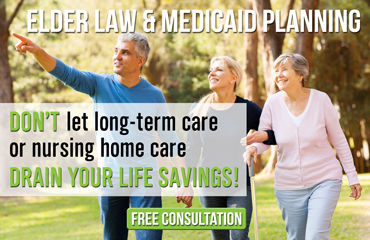 If you have not updated your Medical Power of Attorney in more than five years, you should have an experienced Elder Law attorney review it and make sure that your intentions are still well documented. People often change their minds about who should be in charge or whether life-sustaining treatment is desired. Please note that all powers of attorney are revocable, which means that you can change or update them whenever you wish. I advise everyone to look into setting up a Medical Power of Attorney coupled with a Financial Power of Attorney to serve as a foundation to a life plan. 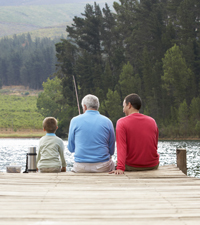 Without these documents, no estate plan is complete.